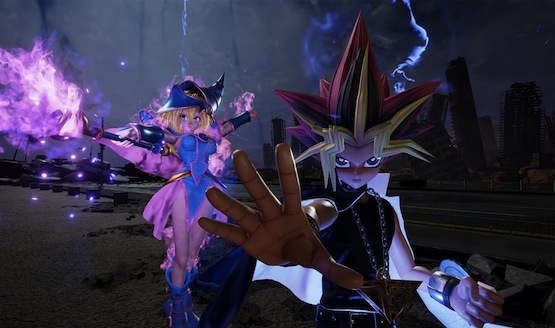 Jump Force continues supporting its fans with a new update, which brings new outfits and gameplay changes. Bandai Namco’s latest Jump crossover has increased the wardrobe size with 27 new costumes (avatar items) that are available from the shops in Umbra Base, more game stability, and gameplay adjustments to several characters. Adjusted Ryo Saeba’s Double Rocket Launcher’s homing performance. If later Double Rocket Launcher was activated while former Double Rocket Launcher’s bullet is in the battle, the former’s bullet explodes. Adjusted Ryo Saeba’s Throw against a male character. Adjusted Ichigo Kurosaki’s Piercer of Heavens: Moon Fang Cross Blast’s homing performance . Adjusted tracking time and homing performance. Adjusted Ichigo Kurosaki’s support attack “Piercer of Heavens”. His support attack: “Piercer of Heavens” only launches 1 attack instead of 2 attacks. Adjusted behavior on DIO’s Checkmate’s additional attack. Adjusted opponent’s knock-back distance after additional attack is hit. Adjusted Shiryu’s Rising Dragon Punch ‘s behavior on hit. Adjusted homing performance on Gon’s down smash (max charge). The development team has committed to more patches on the way to improve the game experience. There is also a characters pass that will come with nine Shonen Jump heroes (and likely villains) to choose from the roster, along with their outfits for your avatar. Jump Force is a team-based 3D fighter, similar in style to the Naruto Ultimate Ninja Storm series or My Hero One’s Justice. It lets Shonen Jump characters across the magazine’s long history all cross-over and interact. It includes new characters, like My Hero Academia‘s determined hero-in-training Deku and Black Clover‘s rambunctious Asta, to old favorites, including Dragon Ball Z’s Super Saiyan Goku, and ramen-loving knucklehead Naruto. The premise is that all these heroes come together to protect Earth (and it’s landmarks) from evil! Lucas White gave the game a 3/10 in his review and said, “Jump Force is ugly, janky, confusing, and far too simple. It does what other games have already done before, but with far less confidence or success.” Have you been playing it?